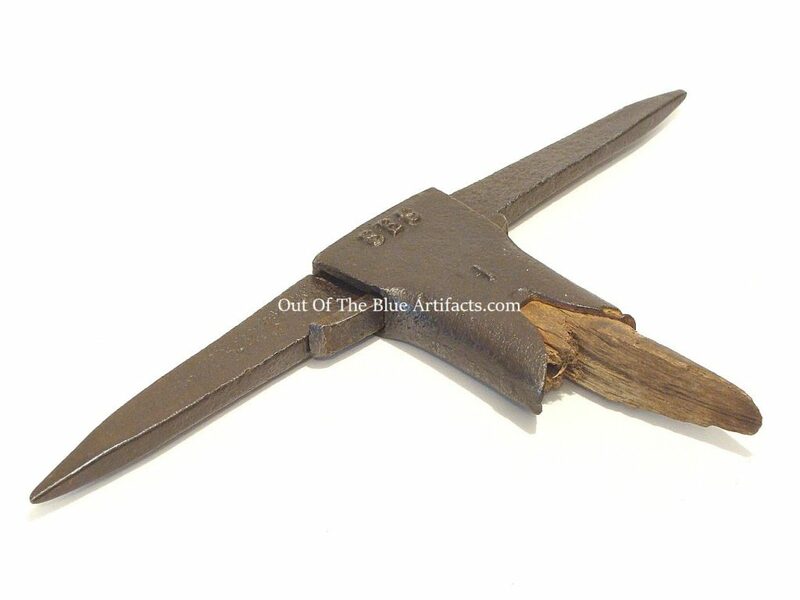 A Miners Box Head Pick. A Miners Box Head Pick. Made from Iron. Size 16″ inches. 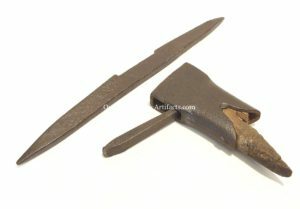 This pick has a removable blade held in by a metal wedge. These picks were used for undercutting the coal. This pick was used in the Levels around Argoed Farm, Brynithel. Used all throughout the early 20th century. 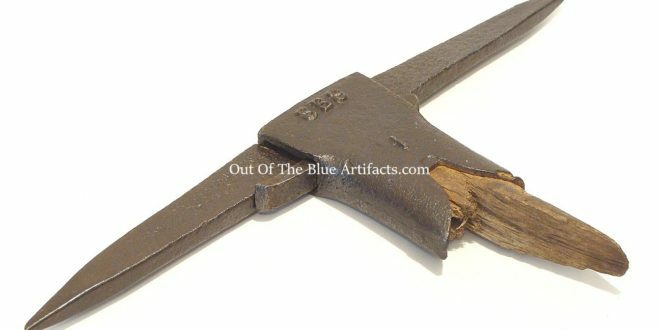 Over a short period of time the pick blade would become blunt and would need to be sharpened or re-shaped by the Blacksmith. Rather than take the whole pick up the pit the miner would dismantle the pick head, leave the box and handle on the Tool Bar underground and take just the blade up to the surface.